antibiotics « Howard J. Bennett - Pediatrician and Author in Washington, D.C. 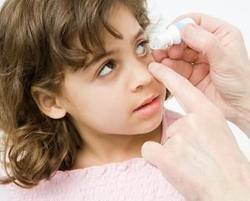 In the first few days of a cold, the mucus coming out of your child’s nose will usually be clear. By the third or fourth day, it’s common for nasal mucus to turn yellow or green. Parents may misinterpret this to mean the child has a bacterial infection. The reason your child’s mucus turns color is because her body’s defenses begin to kill the virus. As white blood cells “ingest” viral particles, they die and mix in with the clear mucus creating the yellow or green color. This process will go on for three or more days until the viral infection is eliminated. Doctors become concerned about sinus infections if a child is very sick or if the infection goes on too long (usually more than 10 days) regardless of the color of the nasal mucus. In addition, recent evidence has shown that most sinus infections resolve on their own without antibiotics. However, some children will need antibiotics so you should discuss the pros and cons of medication with your doctor.